Breitling builds on its close relationship with British motoring brands with the latest limited edition Breitling watch. 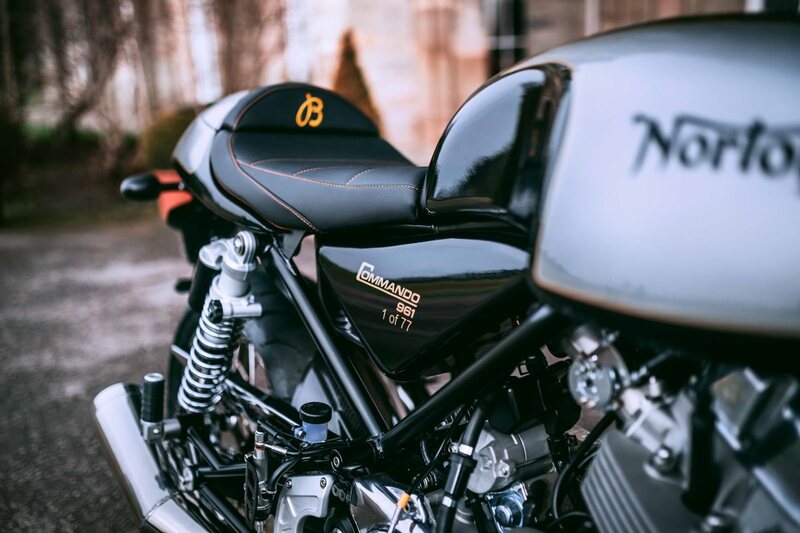 After the release of a new Bentley by Breitling model, Breitling once again announces another new model, this time with the British motorcycle company Norton. As discussed previously, the new Premier line for Breitling (first announced at the end of 2018) is a new clean, modern looking range which brings the Premier name out of the Breitling archive in a new desirable way. As mentioned previously the new Premier watch take a different design approach to the rest on the Premier range, sporting an urban chic design. The dial comes in a black colour with gold numerals and hands adding an old school aesthetic. Red details across the dial still remain present on the watch along with a black date window hidden at the o'clock position. Silver sub-dials sit on the black dial which is balanced nicely with the silver tachymeter. 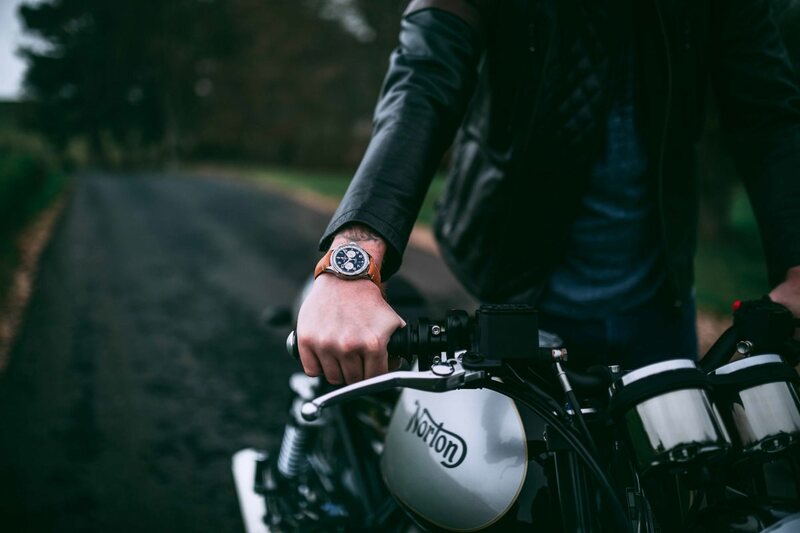 The watch is available on either a raw leather watch strap or a metal bracelet to suit a range of styles. Apart from the new colourway, a Norton engraved plate sits on the side of the new Premier much like the Bentley models do. 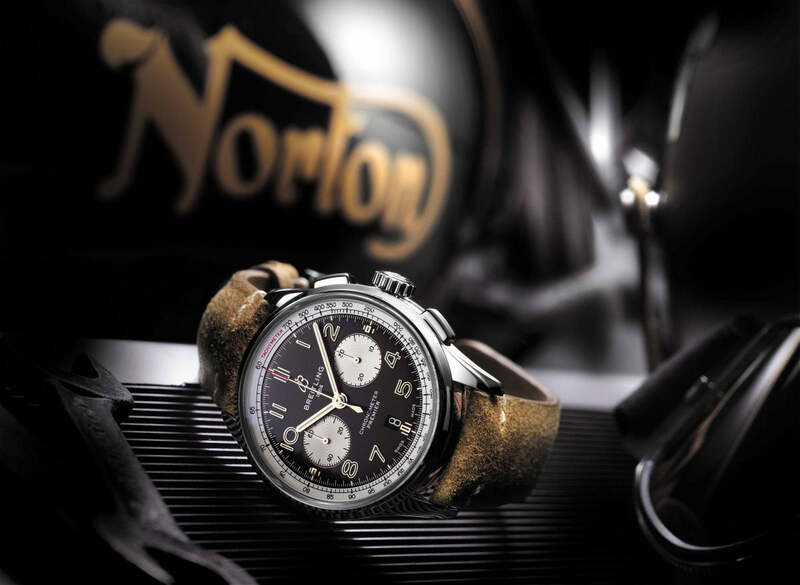 Norton has also created a pretty special motorbike to go with your new watch as well. The bike looks to recall the classic appearance and style of the old style café racers combining said design with state-of-the-art components and engineering. 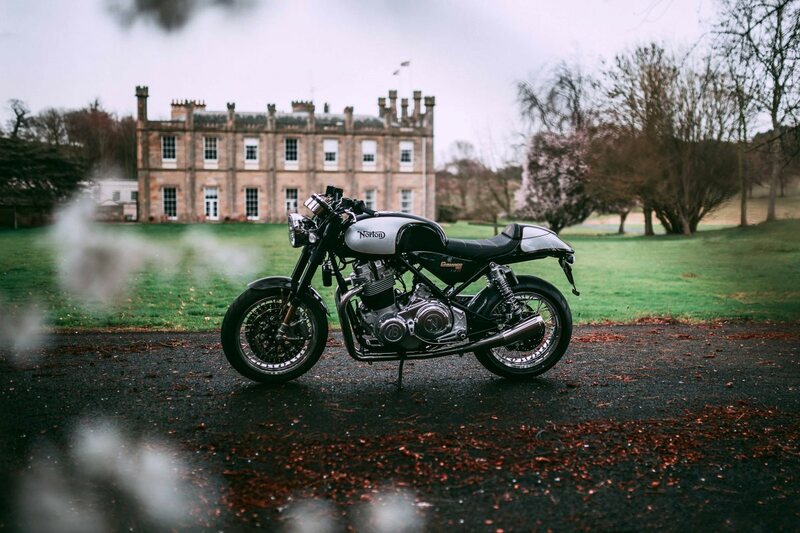 The engine powering this bike is a 961 cc engine, fully developed in-house. The main noticeable feature on the bike is the aesthetics. Eagle-eyed watch fans will have noticed the Breitling B logo stitched into the seat, along with orange stitching throughout the leather. A base colour of black is found on the bike with silver details across each panel with yellow striping around the edge of the design. The bike is limited to a production run of 77. The watch has a very strong look to it in person. The balance between the bright subdials and tachymeter scale are very appealing when combined with the warmth of the yellow gold coloured indices and hands. Subtle dashes of colour with the red tachymeter text and tip of the chronograph hands keep the watch from feeling too old and not current. In certain light, the sunburst effect dial has an almost grey look to it which effectively adds to the watches unique style. The leather strap fitted works well to keep the gold colour on the dial from feeling too overpowering as the colour matches very well to the indices. 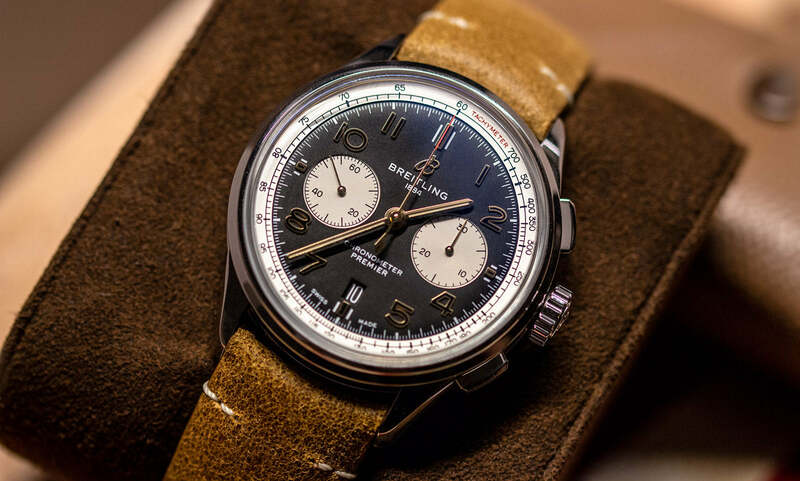 Much like the Bentley special editions Breitling have released recently, the engraved plate is a nice visual reminder to the wearer they have a special edition Breitling strapped to the wrist. 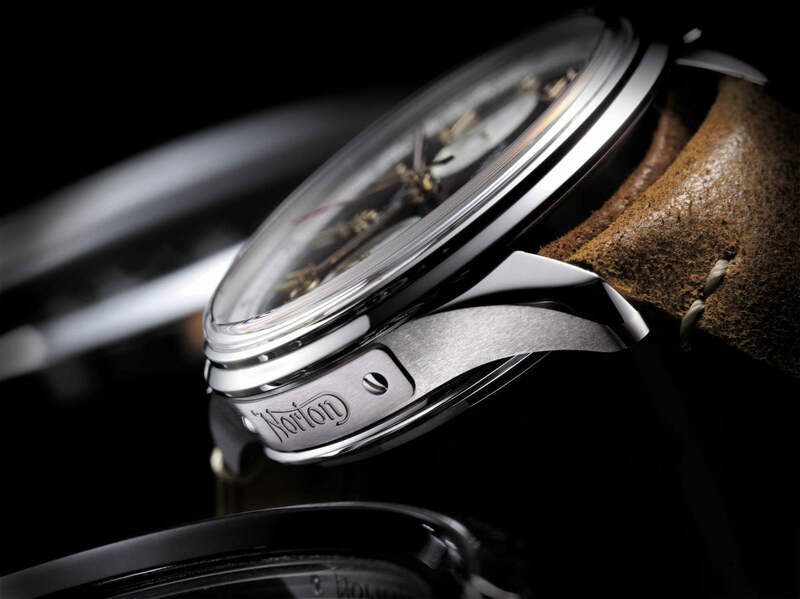 To find out more about the Breitling Norton edition click here! Stay tuned to the Online Magazine for more of the latest releases and further coverage of Baselworld.